Leaked on the Internet over a month early, the anticipated album from Bon Iver titled Bon Iver, Bon Iver is out. I’m not to blame and I’m not really sure who is, but it’s out somewhere in the tubes, so someone should say something about it, publicly. If you’re not familiar with the recording process that beganÂ Bon Iver’s career into folk-indie stardom onÂ For Emma, Forever Ago it goes something like this. 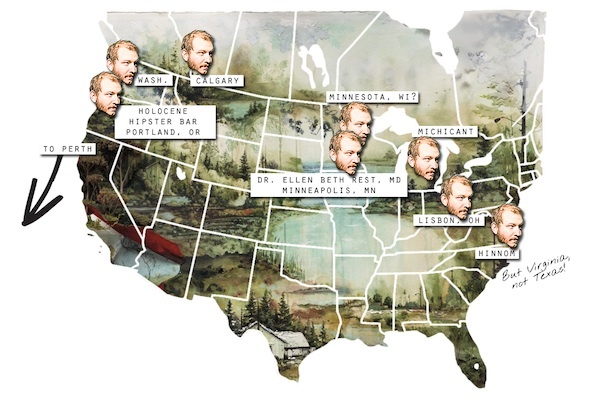 Frontman Justin Vernon took off from his community in North Carolina to hole up in the woods of Wisconsin and get over a band breakup and the ending of a relationship. The story says that he never intended to make a record, but somehow gave his home recordings to a couple friends, they knew a guy, and the rest is history. That was 4 years ago. Since then, Vernon and various friends have done a bit of touring with the band, but also dove headlong into other individual and group projects. Since you can find those by a simple Google search, I won’t bore you with the details. You just want to know if the new record is good, right? Of course it is. Vernon has been non-stop playing and writing since Bon Iver first appeared on the radar. And even if he’s the happiest guy in the world playing music, the looming sadness of Justin is still very present in songs like “Holcene.” Consistent with the vibe on a fewÂ For Emma… songs, he is able to pull off a horizon of hope with brilliant backdrops of layered instrumentation. Vernon still likes auto-tune, and he still plays the guitar. 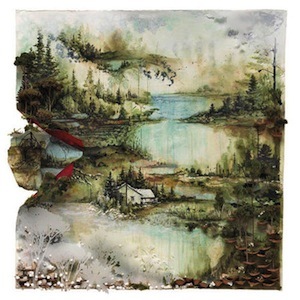 But Bon Iver, Bon Iver is the next stop forward for Vernon.Â “Calgary” the free download put out a couple days ago (and below) played nearly 25 times in a row on my iTunes, and I didn’t get tired of it. I’m still not sure what it’s about. The track listing (as interpreted above by mostly @vickistep and a little ofÂ myself)Â seems simple enough. The majority of track names can be attributed to specific areas, some general, and a few are left a complete mystery. What does a track named “Beth/Rest” really refer to? And what could a line (maybe heard incorrectly) “In the towers of your holy choir” (from “Towers”) mean? It’s going to take time to dissect the poetry that Vernon sings to figure out what the hell these songs are about. And that’s okay. That’s what Bon Iver has been about (at least for me) all along. The beautiful music, the heartache, the honesty, in well crafted prose and how it’s everything he wants to share and everything I want to listen to. And I tell you what, if this record isn’t nominated for a music award or a Grammy of some sort, the music community (meaning: anyone who listens to music)Â should hang their head in shame. Bon Iver, Bon Iver is everything you hope it will be and hopefully a sign that bands can make a great sophomore album by making heartfelt music that isn’t cheesy. And please, if you get this record early, somehow, please purchase it as well. Hell, you can pre-order a vinyl + poster for $15. P.S. – I’m sorry you have to wait until 6/21 to hear this record. The map probably doesn’t make much sense to you. And really, it’s like I’m rubbing it in. I am. Again, I’m sorry.